Simvoly Recenze 2019 - Proč 4.4 hvězdiček? Compared to veterans such as Wix and Weebly, Simvoly is a new kid on the block but it already has a lot going for it. This is a super-easy website builder with a seamless drag and drop interface that lets you set up a website in a jiffy. Simvoly is a new site builder but it is quickly gaining a good reputation. With so many site builders on the market, how do you choose one that suits you best? It is important to choose a website builder that is easy to work with and that is capable of keeping up with your growing business. Simvoly is a recent entrant into the market and is already creating quite a buzz among small and medium-sized businesses for all of the right reasons. This drag and drop website builder was designed with the non-techy user in mind to create custom websites, blogs, stores, and landing pages. Whether you are a graphic designer, photographer, contractor or business person, Simvoly’s E-commerce tools make it incredibly easy to sell your products or services. Online stores have seamless PayPal and Stripe integration. It is also easy to upload product images, manage promotions, keep track of inventory, and safely store and manage customer details. There is a choice of over fifty responsive templates that look great on mobile. All themes and customizations can be previewed live on the website wizard. Simvoly also has a solid blog feature that lets you add posts, galleries and videos, enable comments, and integrate social share buttons. Wide variety of themes: When it comes to choosing a template, you will be spoiled with the choice of over 50 stunning themes to choose from. Whether you are in photography, art and design, hospitality, fashion, design or are just in need of a clean business or personal website, there’s something for you at Simvoly. Responsive: The best site builders automatically optimize your site for mobile. Simvoly sure does the job right with its responsive design that lets you preview your site as it would appear on a smartphone, tablet or desktop. Customizable: One of the most likable features on Simvoly is the easy drag and drop functionality that lets you customize the look and feel of the themes to suit your needs. Just hover over an element to edit anything from widgets, images, maps, and text areas. Ecommerce: Simvoly makes it super easy to sell your products online even with the entry-level Personal plan. You can upload product images, enter prices, and track inventory. It is easy to add any type of content on the product page, including YouTube videos, while PayPal and Stripe integration removes the hassle of payment processing. Drag and drop widgets: The drag and drop interface on Simvoly is not unique but it is a crucial feature that makes it easy for anyone to build a website without any coding knowledge. The widgets let you play around with all sorts of layouts and to add and remove elements as you see fit. Blogging: Each template you choose comes with a blog page that’s already set up for use. You can easily add videos, images, and galleries to your blog posts. Each post has integrated social share buttons so site visitors can share your content with just a single click. Integrated Analytics: Simvoly’s site analytics tool lets you track key metrics such as the number of site visitors, keywords used to reach your site, and page views. The SEO function needs a bit of improvement—for now, you can only set a meta description and meta title, but that’s just about it. Automatic SLL Certificates: This site builder prides in offering free SLL certificates so you can rest easy knowing your website is secure. Don’t feel like playing around with templates? Simvoly’s Magic Website Wizard will do the job for you! This nifty feature uses artificial intelligence (AI) to automatically build a website based on your chosen keyword. The Wizard asks you to describe the type of site you want, such as Business, Photography or Restaurant. You will then be prompted to use a more specific word to describe your desired website and to select the site navigation style. 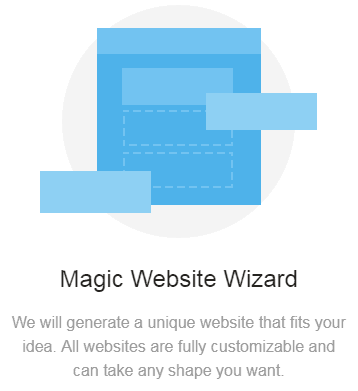 Next, the Wizard suggests a design template and you can continue to use the site builder to customize the website that has been generated for you. I honestly expected more from Simvoly than its barebones support service. 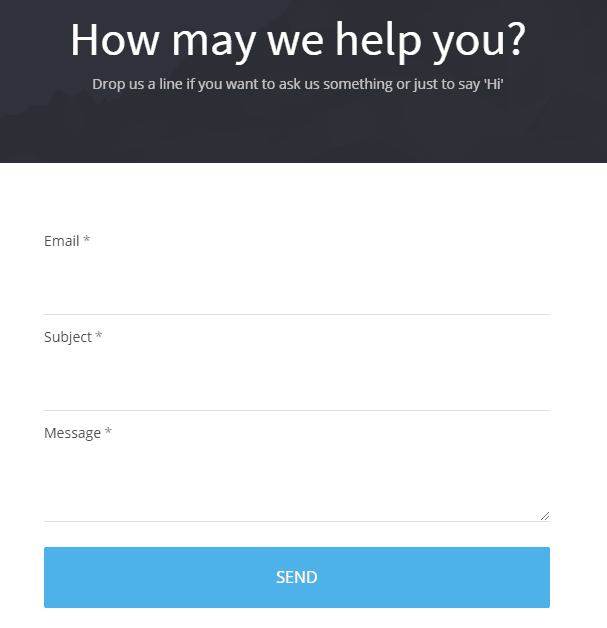 It’s a good thing that live chat is available but that’s just about it—the only other way to reach support is through a contact form. The support guys did get back to me in good time on email but it would have been great if there were a phone number to call for immediate help. The comprehensive knowledge base is a plus as it makes it easy to learn everything about the different features Simvoly has to offer. While some popular website builders offer free-for-life accounts, this incentive is lacking with Simvoly. The good news is you can sample out all the great stuff Simvoly has to offer for free for up to 14 days after which you will need to upgrade to a Personal, Business or E-Commerce account. At the entry level is the Personal account, which offers up to 5GB of storage and 10GB of bandwidth, your own domain, up to 20 pages, capacity to sell five products on your online store, site analytics, and customer support. If you want an unlimited number of pages, bandwidth, storage, and contributors, bumping up to the Business plan will give you these and more. In addition to getting a free domain and hosting, tracking and analytics, the Business account lets you sell up to 25 store products and unlocks priority customer support. The E-Commerce plan is the most expensive account offered by Simvoly but the perks that come with it are great, especially if you are looking to sell more products on your online store. This account provides you with unlimited bandwidth, storage, pages, and contributors, a capacity for up to 100 store products, and offers priority customer support as well. For an additional $10 per month on the E-Commerce plan, you can sell an unlimited number of products. 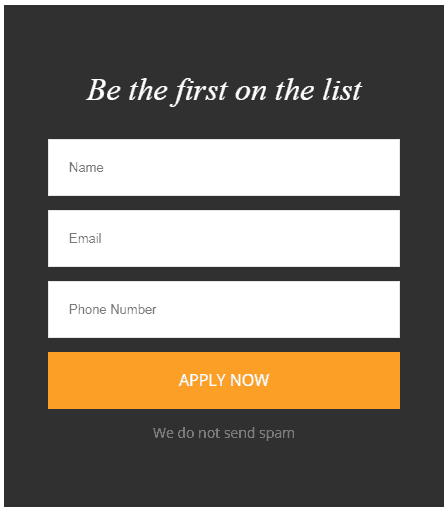 I love the fact that you can start creating your website without first signing up for an account, which can be done later in the process. onClick="trackClickout('event', 'clickout', 'Vendor Page - Visit User Reviews', 'Simvoly', this, true);"
Simvoly is the best builder I've seen so far. The interface is great and with the newly added funnels functionality, it's every thing we need for our business. Highly recommend it! Simvoly’s weak support makes the builder undesirable. They promise priority support, but it’s not true. Makes me wonder if I want to do business with them. I built our new site in Simvoly after using WP and Rainmaker. Both were more expensive and much more complicated. I found WP clunky without custom CSS and hours and hours of set up. Rainmaker isn't around any more but it was expensive and complicated. I felt like it never did what it was sold to do so coming to Simvoly I felt jaded.While Simvoly has some limitations, the creators are committed to listening and engaging with clients (on a closed FB page) - then implementing the changes that are being asked for.It's by far the easiest build I have done and the website I am proudest of! If you find website building confusing and complicated, or if you simply want to get a site up and out into the world, I recommend doing the free trial. Compared to veterans such as Wix and Weebly, Simvoly is a new kid on the block but it already has a lot going for it. This is a super-easy website builder with a seamless drag and drop interface that lets you set up a website in a jiffy. Simvoly does lack a few bells and whistles such as phone support, third-party widget integration, and mobile editing but there is still plenty to like. The responsive themes look stunning on both desktop and mobile devices, while the advanced E-Commerce features take the hassle out of selling online. This is definitely a great site builder if you do not have any coding knowledge and want to build a quick, simple but beautiful website. Přemýšlíte, jak si Simvoly vede v porovnání s dalšími nástroji? Zadejte jakýkoliv jiný nástroj pro tvorbu webů a my vám je mezi sebou porovnáme.